Specijalistička ordinacija za nuklearnu medicinu "dr Baškot"
Lično: Datum rođenja: 20.12.1958. Ruma, Srbija, govori engleski jezik. 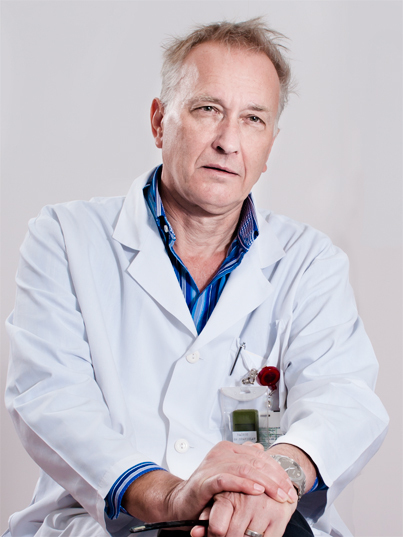 Doktorska teza javno odbranjena: "Procena kritične lezije pre i posle perkutane koronarne angioplastike perfuzionom scintigrafijom miokarda" - 19.05.2005. godine. Specijalizacija Nuklearne medicine (1991 - 94) - Institut za nuklearnu medicinu Vojnomedicinske akademije, Beograd, Srbija. Profesionalno interesovanje: Nuklearna kardiologija, Nuklearna dijagnostika mozga, PET scan dijagnostika. Branislav Baškot: SPECT i ishemijska bolest srca. Posebna izdanja "Zadužbina Andrejević" Beograd Srbija i Crna Gora 2003. Branislav Baškot, A. Ristic-Angelkov, S. Ilic, S. Obradovic, S. Rafajlovski: Nuklearna kardiologija u dijangostici vijabilnog miokarda. Akutni koronarni sindrom. Specijalna edicija Medicinskog fakulteta Niš, Srbija i Crna Gora; 174 -189 2004. Slobodan Obradovic, S. Rusovic. B. Balint, A. Ristic-Angelkov, R. Romanovic, B. Baškot, D. Vojvodic, B. Gligic: Autologa transplantacija progenitornih ćelija poreklom iz kostne srži u lečenju akutnog infarkta miokarda. Akutni koronarni sindrom. Specijalna edicija Medicinskog fakulteta Niš, Srbija i Crna Gora; 195 -206, 2004. Branislav Baškot: NUKLEARNA KARDIOLOGIJA; SPECT miokarda: Determinisanje culprit lezije. Posebna izdanja "Zadužbina Andrejević”. Beograd, Srbija 2006. [Assessment of embolism risk in deep vein thrombosis in various locations using radionuclide phlebography and perfusion scintigraphy of the lungs] Marković S, Baškot B, Ajdinović B, Pervulov S, Gligić B, Perovanović M. Vojnosanit Pregl. 2001 Mar-Apr;58(2):147-9. Serbian. Baškot B., Markovic S., Orozovic V., Markovic M., Ajdinovic B., Spaic R.: Stress/rest 99mTc-tetrofosmin myocardial tomography in the diagnosis ischemic heart disease, Military Medical Review, Belgrade, Serbia & Montenegro, 58:4, 375-379, 2001. Spaic R., Markovic S., Pavlovic S., Radic Z., Pavlovic R., Ajdinovic B., Baškot B., Djurovic B.: Bullet scinitgraphy: Can gamma camera be used for depleted uranium accident measurement? Vinca Bulitten, Serbia & Montenegro, 5:1, 15-17, 2000. Markovic S., Baškot B., Ajdinovic B., Pervulov S., Gligic B.,: Assessment of risk stratification different localization DVT low extremity for PE by radionuclide phlebography. Military Medical Review. Belgrade, Serbia & Montenegro, 58:2, 147-49, 2001. Markovic S., Baškot B., Ajdinovic B., Spaic R.: Current nuclear medicine methods in the diagnostic DVT of low extremity. Military Medical Review, Belgrade, Serbia & Montenegro 58:5, 533-38, 2001. Markovic S., Baškot B., Ajdinovic B., Pervulov S., Gligic B.: Diagnostic accuracy of radionuclide phlebography in the detection of DVT in PE patients. Military Medical Review, Belgrade, Serbia & Montenegro 58:6, 611-14, 2001. Gligic B., Orozovic V., Obradovic S., Rusovic S., Kostic J., Baškot B., Dincic D., Ristic–Angelkov A.: The primary percutaneous transluminal coronary angioplasty in acute infarction of the right ventricle. Military Medical Review. 60(vol 1); 81–7, 2003. Baškot B., Jankovic Z., Markovic M., Spaic R.: Myocardial Perfusion Scinitgraphy in Identification and Localization of Individual Coronary Lesions. Military Medical Review, Belgrade, Serbia & Montenegro 61(4): 371-377, 2004. Obradovic S., Rusovic S., Ristic-Angelkov A., Romanovic R., Baškot B., Vojvodic D., Gligic B.: Autologus bone marrow-derived progenitor cell transplantation for myocardial regeneration after acute infarction. Military Medical Review, Belgrade, Serbia & Montenegro 61(5): 519-529, 2004. Башкот Б., Маркович С., Орозович В., Маркович М., Спаич Р., Пукар Д., Перованович М.: Томосцинитграфия миокарда с 99мтc–тетрофосмином по однодневном протоколу в диагностике ишемической болезни сердца. Перспективны методы томографической диагностики. Разработка и клиническое применение. Международная конференциая в честь открьития лаборатории пентгеновской компьютерной томографии НИИ Кардиологии ТХЦ ЦО РАМН. 2003: Секция 5; 66–69. Mitov V., Paunković N., Aleksić Ž., Bastać D., Baškot B., Aleksić A.: Perfuziona scintigrafija miokarda primenom tetrofosmina po stres_rest jednodnevnom protokolu u dijagnostici koronarne bolesti – Naša iskustva. Перспективны методы томографической диагностики. Разработка и клиническое применение. Международная конференциая в честь открьития лаборатории пентгеновской компьютерной томографии НИИ Кардиологии ТХЦ ЦО РАМН. 2003: Секция 5; 74 – 76. 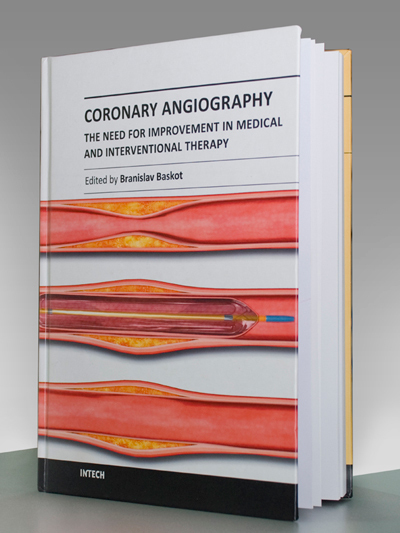 Ristic-Angelkov A, Damjanovic M, Baškot B.: Management of refractory angina pectoris. Srp Arh Celok Lek. Review Serbian. 132;(11-12): 453-57. Nov-Dec 2004. 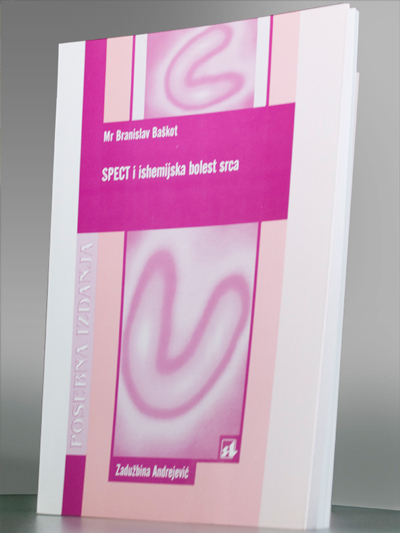 Ristic-Angelkov A., Baškot B., Damjanovic M., Rafajlovski S.: Ischemic preconditioning. Military Medical Review, Belgrade, Serbia & Montenegro 62(1): 73-77, 2005. Ristic-Angelkov A, Damjanovic M, Baškot B, Matunovic R.: Stunned myocardium. Military Medical Review, Belgrade, Serbia & Montenegro 62(2): 165-9, 2005. Obradovic S., Balint B., Gligic B., Rusovic S., Baškot B., Ristic-Angelkov A., Neskovic A., Dincic D., Stankovic G., Antonijevic N., Orozovic V., Trifunovic Z., Koracevic G., Vojvodic D., Ostojic G.: Intracoronary implataion off bone-marrow derived mononuclear cells for large anterior myocardial infarction in subacute phase. Cinical Application of Immunology. Pyblished by: Immunity and future Foundation, Pleven, Bulgaria ISSN 1312-0832. Confirmation tath this article has been accepted. Baškot B., Markovic M., Spaic R., Markovic S., Celikic S.: Myocardial perfusion tomography 99mTc-tetrofosmin in the diagnosis of coronary artery disease. 29th Meeting Yugoslavian Association of Nuclear Medicine. Tara; Serbia & Montenegro, Sept. 1997. Baškot B., Markovic M., Spaic R., Markovic S., Celikic S.: Correlation between myocardial perfusion tomography and selective angiography in the patients with ischemic heart disease. 7th Congress Yugoslavian Association of Nuclear Medicine. Sokobanja; Serbia & Montenegro, Octo. 1988. Baškot B., Markovic M., Spaic R., Markovic S., Ajdinovic B.: Stress/rest 99mTc-tetrofosmin myocardial tomography in the diagnosis of coronary artery disease. 30th Meeting Yugoslavian Association of Nuclear Medicine. Zajecar; Serbia & Montenegro Aug. 1999. Baškot B., Markovic M., Markovic S.: 99mTc-tetrofosmin myocardial perfusion tomography in detection of coronary microvascular disease-case report. 30th Meeting Yugoslavian Association of Nuclear Medicine. Zajecar; Serbia & Montenegro Aug. 1999. Baškot B., Markovic M., Spaic R., Markovic S., Celikic S.: SPECT tetrofosmin scintigraphy in patient with coronary artery disease. 1st Congress nuclear medicine with international participation. Ohrid, Macedonia. Proceedings 43P. 1998. Spaic R., Pavlovic S., Markovic S., Pavlovic R., Ajdinovic B., Baškot B., Djurovic B.: Calibration of gamma camera for measurement of internal contamination with depleted uranium. 1st Symposium on clinical application in nuclear medicine with international participation. Thessaloniki, Greece, Oct. 1999. Baškot B., Markovic M., Spaic R., Markovic S., Ajdinovic B.: Exercise-rest 1-day protocol 99mTc-tetrofosmin myocardial tomography for the identification and localization of coronary artery disease. 1st Symposium on clinical application in nuclear medicine with international participation. Thessaloniki, Greece, Oct. 1999. 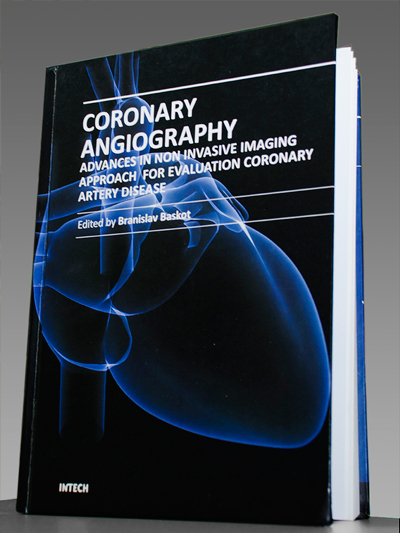 Baškot B., Markovic M., Spaic R., Markovic S., Celikic S., Matunovic R., Pavlovic P.: SPECT tetrofosmin scintigraphy and coronarography in patient with coronary artery disease. 1st International Congress on Heart Disease. Washington DC, USA, May 1999. Baškot B., Markovic M., Spaic R., Markovic S., Celikic S.: SPECT tetrofosmin scintigraphy in patients with ischemic heart disease-correlation with coronarography. 12th congress of Yugoslavian Association of Cardiology with international participation. Herceg-Novi, Serbia & Montenegro, Proceedings 562, 1998. Mijailovic Z., Baškot B., Pusara M., Naumovic Z., Milosevic A., Pavlovic P., Markovic S., Kurtisevic N.: Relation between hypertrophy and stunned myocardium in unstable angina. 6th International Congress on Cardiovascular Pharmacotherapy. Sydney, Australia. 4e 25-29 February 1996. Mijailovic Z., Baškot B., Pusara M., Naumovic Z., Milosevic A., Pavlovic P., Markovic S., Kurtisevic N.: Relation between coronary occlusions and stunned myocardium. 6th world congress of cardiac rehabilitation “Expanding scope in the Next century: Integration with new management and technologies”. Buenos Aires, Argentina. 16-20 June 1996. Spaic R., Markovic S., Ajdinovic B., Baškot B., Djurovic B.: Calibration of gamma camera for measurement of internal contamination in the nuclear accident. 30th Meeting Yugoslavian Association of Nuclear Medicine. Zajecar, Serbia & Montenegro 1999. Mijailovic Z., Baškot B., Pusara M., Naumovic Z., Milosevic A., Pavlovic P., Markovic S., Kurtisevic N.: Relation between hypertrophy and stunned myocardium in unstable angina. Asian-Pacific Congress on vascular disease prevention. Singapore 11-15 March 1996. Baškot B., Orozovic V., Ajdinovic B.: Nuclear medicine diagnostic procedures in the detection of acute myocardial infarction of right ventricle and inferior wallof the left ventricle. 31st Meeting Yugoslavian Association of Nuclear Medicine. Sremska Kamenica, Serbia & Montenegro, Proceedings 40; 2001. Baškot B., Jaukovic Lj., Markovic M., Markovic S., Spaic R.: One day stress-rest 99mTc-tetrofosmin tomography in detection of coronary microvascular disease. Eur. J Nucl Med. 27:8,1026, PS-61. Eur. Congress of Nuclear Medicine. Paris 2000. Angelkov L., Baškot B., Jurcevic R., Miric M., Djukanovic B.: The optimal place of electrotherapy-stimulation in the heart failure. 13th Congress Yugoslavian Association of Cardiology with international participation. Novi Sad, Serbia & Montenegro. Proceeding book 45:206, 2001. Markovic M., Baškot B., Gligic B., Orozovic V., Rafajlovski S., Ratkovic N., Spasic R., Romanovic R., Obradovic S., Milovanovic J., Dincic D.: Myocardial perfusion imaging by SPECT in diagnosis of microvascular disease(clinical significance). Third Congress Serbia Association of Cardiology. Belgrade, Serbia & Montenegro. Cardiology 32:128; 2000. Orozovic V., Krgovic B., Gligic B., Rafajlovski S., Markovic M., Baškot B., Dincic D., Spasic R.: 12 years of experience in the treatment of patients with right ventricular myocardial infarction. Third Congress Serbian Association of Cardiology. Belgrade, Serbia & Montenegro. Cardiology 35:139; 2000. Nenad Ratkovic, Gligic B., Markovic M., Orozovic V., Spasic R., Baškot B., Obradovic S., Rafajlovski S., Dincic D., Romanovic R.: Left bundle branch block (LBBB) and coronary microvascular disease. Third Congress Serbian Association of Cardiology. Belgrade, Serbia & Montenegro. Cardiology 57:P227; 2000. Baškot B., Markovic M., Spaic R., Ajdinovic B., Orozovic V., Markovic S.: One day exercise-rest 99m technetium tetrofosmin tomography in the identification and localization of coronary artery disease. 7th Scientific congress of the Polish society of nuclear medicine with accompanying Baltic, Central and Eastern Europe nuclear medicine conference Program of Baltic, Central and Eastern Europe nuclear medicine conference. Gdansk, Poland. Proceedings 56; 2000. Baškot B., Obradovic S., Rusovic S., Gligic B., Orozovic V., Markovic M.: Early assessment of myocardial perfusion after successful percutaneous transluminal coronary angioplasty by 99mTc-tetrofosmin tomography. 8th Congress Yugoslavian Association of Nuclear Medicine with international participation. Pirot, Serbia & Montenegro, Proceedings 45; 11-14, September 2002. Baškot B., Rafajlovski S., Markovic M., Gligic B., Orozovic V.: Diagnosis of non-occlusive myocardial infarction by nuclear medicine diagnostic procedures-case report. 8th Congress Yugoslavian Association of Nuclear Medicine with international participation. Pirot, Serbia & Montenegro, Proceeding book 47; 11-14, September 2002. 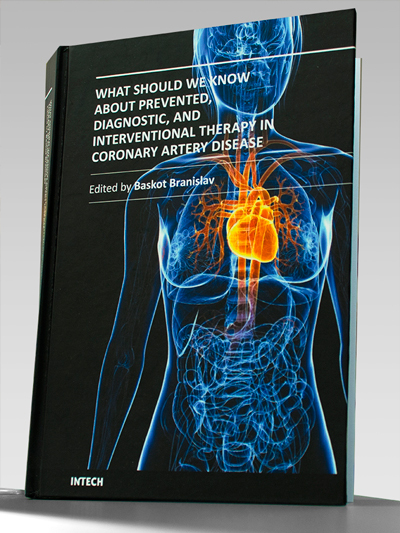 Mitov V., Aleksic Z., Paunkovic N., Bastac D., Nikolic K., Baškot B., Markovic S.: Algorithm of non-invasive diagnostic procedures in the detection of coronary artery disease. 8th Congress Yugoslavian Association of Nuclear Medicine with international participation. Pirot, Serbia & Montenegro, Proceeding book 44; 11-14, September 2002. Baškot B., Markovic M., Ajdinovic B., Gligic B., Rafajlovski S., Orozovic V.: Stress-rest myocardial tomoscintigraphy by 99mTc-tetrofosmin in the detection of coronary microvascular disease. 13th Congress Yugoslavian Association of Cardiology with international participation. Novi Sad, Serbia & Montenegro. Proceeding book 76:P334, 2001. Baškot B., Ristic-Angelkov A., Marković M., Rusović S.,: Determination of culprit lesion and assessment of elective angioplasty by perfusion myocardial imaging. 1st Congress SCG Association of Cardiovascular surgery with international participation. Proceeding book. 69:P165, 2004. Perovanović M., Baškot B., Marković M., Rusović S. Određivanje culprit lezije u proceni za perkutanu transluminalnu angioplastiku. Savez zdravstvenih radnika republike Srbije. Zlatibor. 2003.g. Zbornik 88. Radić N., Baškot B., Andreev M. Izvođenje tomoscintigrafije 99mTc-tetrofosminom u proceni vijabilnosti miokarda. Savez zdravstvenih radnika republike Srbije. Zlatibor. 2003.g. Zbornik 89. Miloradović Ž., Baškot B., Andreev M. Priprema bolesnika i izvođenje tomoscintigrafije miokarda 99mTc tetrofosminom. 1 Kongres radioloških tehničara Srbije i Crne Gore. Novi Sad 2003.g. Zbornik radova 36–37. Andreev M., Baškot B., Radić N. Pripreme bolesnika i izvođenje tomoscintigrafije 99m Tc tetrofosminom u proceni vijabilnosti miokarda. Prvi kongres medicniskih sestara i tehničara Srbije sa međunarodnim učešćem. Vrnjačka Banja 2003.g. Zbornik radova 34. Baškot B., Stanić V., Cvijanović V., Spaić R.: Procena metastaza nemikrocelularnog karcinoma pluća u limfonodima mediastinuma sa 99mTc-tetrofosmin SPECT studijom-prikaz slučaja. Prvi kongres kardiotorakalnih hirurga SCG sa međunarodnim učešćem. Beograd 2004g. Zbornik sažetaka 36: 87. Baškot B, Obradović S, Ristić-Anđelkov A, Rusović S, Spaić R.: Perfusion scintigraphy in diagnosis of culprit lesions in patients undergoing elective PTCA. Congress of Nuclear Medicine Serbia and Montenegro with international participation. Zlatibor 7-10 September 2005. Proceeding book 45. Mladenović Z., Ristić-Angelkov A., Obradović S., Kalimanovska-Ostrić D., Baškot B., Jovelić A.: Prognostički značaj nisko dozne Dobutamin-stress ehokardiografije nakon akutnog infarkta miokarda. XV kongres udruženja kardiologa Srbije i Crne Gore sa međunarodnim učešćem. Herceg Novi 25-28. 09. 2005. Sažeci radova-Suplement str.50 (258). Obradović S., Rusović S., Balint B., Ristić-Angelkov A., Baškot B., Romanović R., Gligić B., Dinčić D.: Autologa transplantacija ćelija poreklom iz kostne srži u lečenju akutnog infarkta miokarda sa ST elevacijom. XV kongres udruženja kardiologa Srbije i Crne Gore sa međunarodnim učešćem. Herceg Novi 25-28. 09. 2005. Sažeci radova-Suplement str.94 (463). Mladenović Z., Ristić-Angelkov A., Obradović S., kalimanovska-Ostrić D., Baškot B., Jovelić A.: Ehokardiografski parametri oporavka globalne funkcije leve komore nakon akutnog infarkta miokarda. XV kongres udruženja kardiologa Srbije i Crne Gore sa međunarodnim učešćem. Herceg Novi 25-28. 09. 2005. Sažeci radova-Suplement str.64 (P310). Ristić-Angelkov A., Angelkov L., Obradović S., Baškot B., Rusović S., Gligić B.: Značaj dobutamin stres ehokardiografije i perfuzione scintigarfije miokarda u proceni vijabilnosti kod bolesnika sa infarktom miokarda lečenim primarnom korornarnom angioplastikom. XV kongres udruženja kardiologa Srbije i Crne Gore sa međunarodnim učešćem. Herceg Novi 25-28. 09. 2005. Sažeci radova-Suplement str.65 (P313). Obradović S., Romanović R., Dinčić D., Rusović S., Subota V., Ristić-Angelkov A., Baškot B., Gligić B.: Biohemijski markeri u predikciji sistolne funkcije leve komore nakon perkutane koronarne intervencije u akutnom infarktu miokarda sa ST elevacijom. XV kongres udruženja kardiologa Srbije i Crne Gore sa međunarodnim učešćem. Herceg Novi 25-28. 09. 2005. Sažeci radova-Suplement str.104 (P502). Obradović S., Rusović S., Ristić-Angelkov A., Baškot B., Romanović R., Mihajlović M., Gligić B.: Perkutana korornarna intervencija u Akutnom infarktu miokarda sa ST elevacijom-Intrahospitalni i šestomesecčni ishod kod prih 100 lečenih bolesnika u našoj ustanovi. XV kongres udruženja kardiologa Srbije i Crne Gore sa međunarodnim učešćem. Herceg Novi 25-28. 09. 2005. Sažeci radova-Suplement str.105 (P504). 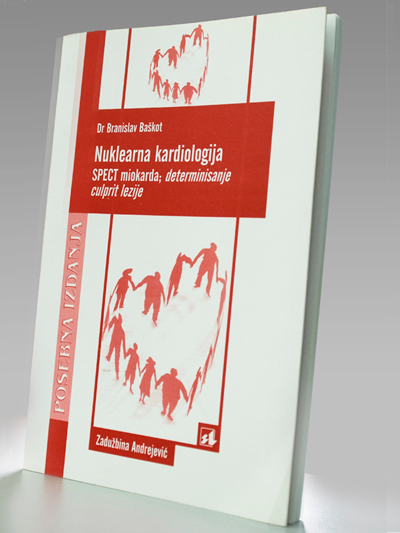 Baškot Branislav, Rusovic S, Obradovic S, Ristic-Angelkov A, Spaic R.: Determination and localization of culprit lesion by SPET scintigraphy in patients undergoing percutaneous coronary intervention. Eur J of Nucl Med. Annual Congress of the EANM Athens, Greece 2006; S92:52. Technetium-99m-tetrofosmin as a new radiopharmaceutical for myocardial perfusion imaging. Annual meeting Yugoslavian Association of Nuclear Medicine. Belgrade, Serbia & Montenegro Dec. 1997. Comparation of technetium-99m-tetrofosmin and thallium-201 MPI for evaluation of coronary artery disease. Annual Meeting of Yugoslavian Association of Nuclear Medicine. Bor, Serbia & Montenegro, Jun. 1998. Nuclear cardiology in diagnosis of ischemic heart disease. University of Srbinje School of Medicine; Republika Srpska BiH, May. 2000. Myocardial perfusion imaging. Annual Meeting of Yugoslavian Association of Nuclear Medicine. Niksic, Serbia & Montenegro, July 2001. Nuclear cardiology in evaluation of myocardial perfusion and function before and after PTCA - preliminary results. University of Banja Luka School of Medicine; Republika Srpska BiH. Apr. 2004. Nuclear cardiology in assessment of myocardial viability. Early detection of restenosis after PTCA by Dipyridamol stress test. Annual Meeting of Yugoslavian Association of Cardiology. Vrnjacka Banja, Serbia & Montenegro, May 2004. Diagnosis of culprit lession by nuclear cardiology. Klinika za kardiologiju VMA Mart 2005.godine. SPECT studija u praćenju rezultata PKI. Aktiv za urgentnu kardiologiju Vojvodine VIII stručni sastanak NEINVAZIVNA DIJAGNOSTIKA - MOGUĆNOSTI I OGRANIČENJA. 16.12.2005.godine Vršac. Edukacija iz nuklearno medicinske kardiodijagnostike lekara odeljenja za Nuklearnu medicinu u medicinskom centru Zaječar uz prezentaciju i predavanja, kao i uvođenje u redovni dijagnostički protokol perfuzione scintigrafije miokarda. Sprovodim edukaciju studenata završne godine Elektrotehničkog Fakulteta - smer medicinska fizika. Izabran u zvanje docenta iz predmeta Nuklearna medicina na VMA Maja 2008.godine, a od Decembra 2007.godine na Evropskom Univerzitetu. Predavač i docent na US medical School – PRVOM privatnom medicinskom fakultetu na trećoj godini iz zajedničkog predmeta Radiologija i Nuklearna medicina. U svojoj karijeri radio i na Institutu za nuklearnu medicinu Vojno medicinske Akademije Beograd i u privatnoj ordinaciji „Medica Nucleare“. Profesionalno se bavi nuklearnom kardiologijom i do sad uradio preko 5000 bolesnika sa sumnjom i/ili potvrđenom ishemijskom bolesti srca. Ogromno iskustvo stekao radeći sa svim konvencionalnim vrstama radioizotopa koji se upotrebljavaju u nuklearnoj kardiologiji (Talijum, 99mTehnecijum sa „nosačima“ tetrofosminom, MIBI), kao i sa svim, danas u Srbiji pristupačnim farmakološkim testovima opterećenja (Dipiridamol – persantin, Adenozin i Dobutamin).